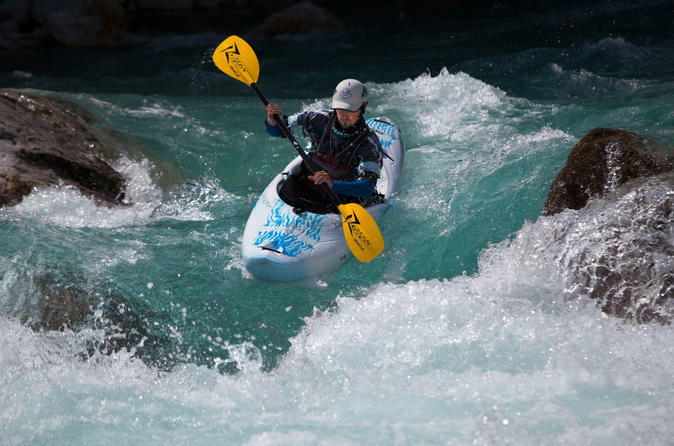 5 days Kayak course is for the adventure seekers! Exploring beautiful nature from the rapids of Soca river is unique experience. The course is adapted to the guests knowledge and abilities. 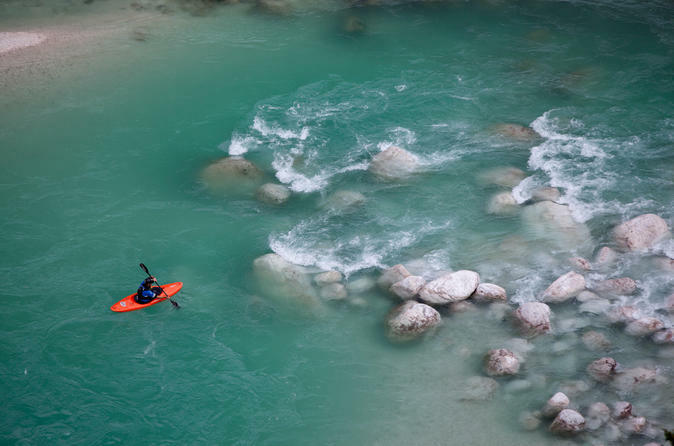 Kayak instructor will teach you the basics of kayaking and safely prepare you for bigger and bigger rapids. Join us! 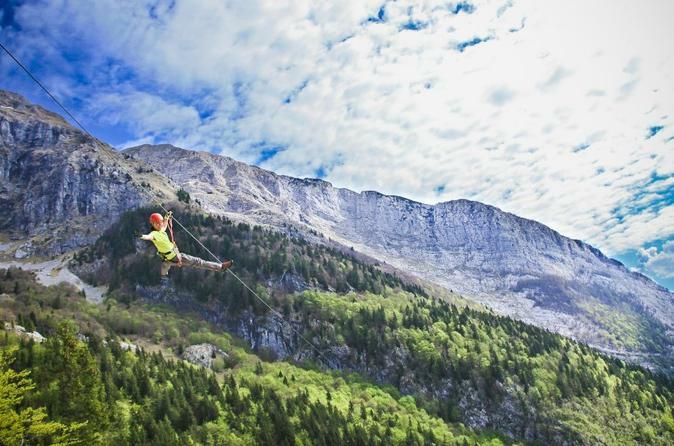 Have fun ziplining in Slovenia experiencing a trait 3 km long and with 5 wires. Enjoy this activity where you will get into the kayak near Boka waterfall, to get acquainted with the Soca’s calmer section. As we proceed towards the end, we will be paddling along the deep green Soca, where we will encounter a number of rapids that will send your heart racing. The inflatable kayak is a great boat for all who want to go kayaking without having to have great paddling skills. Due to its design, it is much more stable on the water than the traditional plastic kayak. The Guppy is a one-person kayak designed to provide the most fun for beginners and experienced paddlers on white-water day trips. The Ducky is a longer version and is ideal for one or two person. 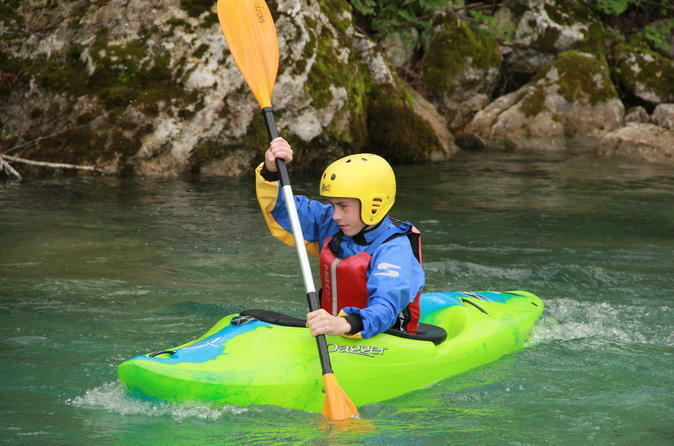 Kayaking is considered by many to be the best sport on the Soča River. Unspoiled nature and close contact with the river offers pure pleasure. We will make sure that you become a genuine kayaker. 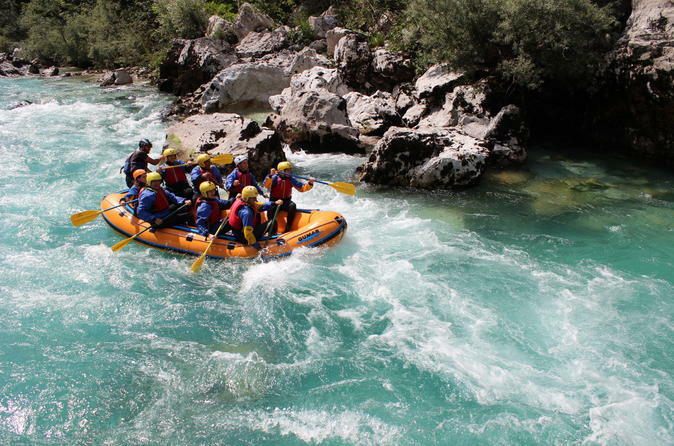 This intense multi-day courses on the Soča which last 2 to 3 hours each day will give you the confidence and skills to take on even the most demanding situations on the water. Knowledge of the laws and power of water and mastering paddling techniques will enable you to freely enjoy the river, which will inevitably get under your skin and for many will become a lifelong love of this amazing sport. In order to obtain proficiency, we recommend at least a 3 day course. 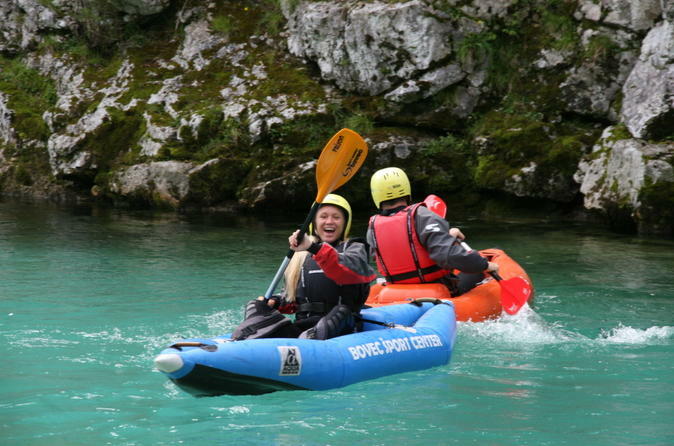 Enjoy a beautiful day rafting down Soca River This excursion is an ideal introduction to the thrill of white-water rafting, great for families or groups. Choose between the morning and afternoon departures and spot local wildlife while as you cruise down the river. 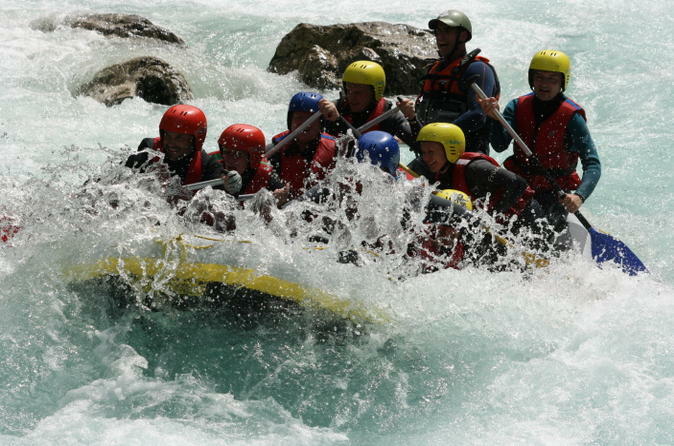 Join this activity on one of the rafting tours on beautiful Soca river. With experienced and friendly staff, you will be having the time of your life. Good choice for all ages. 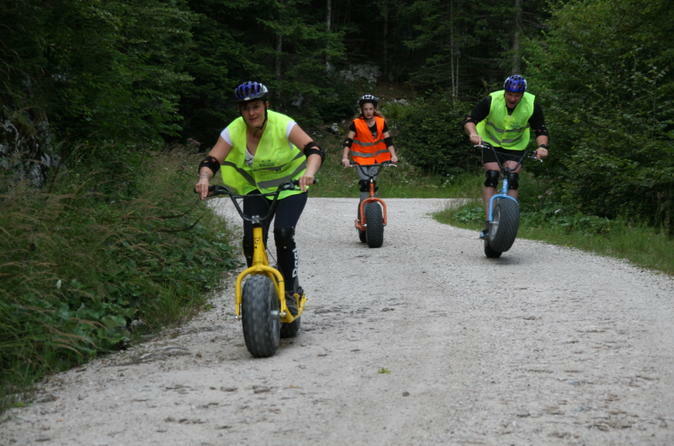 Wild fun for both young and old. From Bovec, drive 9 km to a scenic overlook on the slopes of Kanin, at about 1000 meters elevation. From there we will cruise along a gravel road back to the valley. If you aren’t trying to break a personal record for fastest trip back to the valley, then bring along your camera to capture some unforgettable beautiful panoramas of the Bovec basin. Your destination awaits you 540 meters below in Bovec. 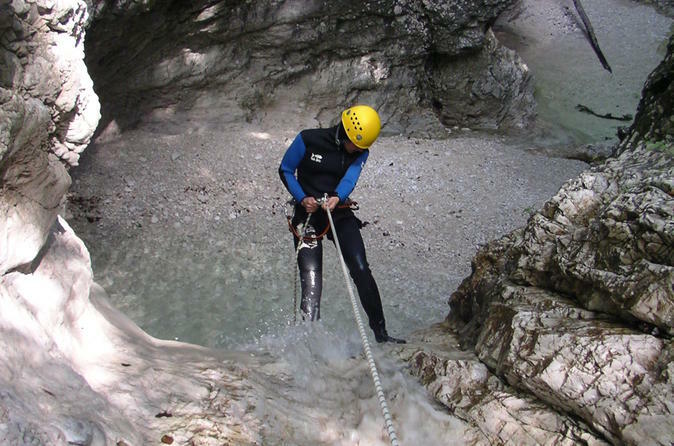 Extreme canyoning in Soca valley is a must do for adrenaline seekers. The canyons are medium to hard difficulty, with higher jumps and slides, rappels with rope also 50 meters down the waterfalls. Join this 4-5 hour trip in the wilderness of this great canyon. Paddle hard! 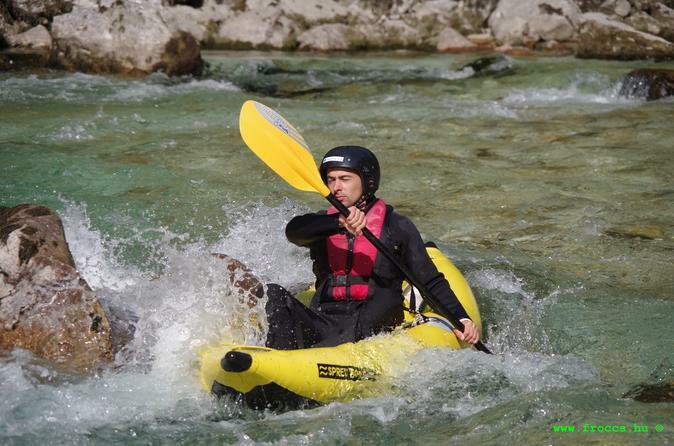 Kayaking is considered by many to be the best sport on the Soča River. Unspoiled nature and close contact with the river offers pure pleasure. We will make sure that you'll feel absolutely safe and almost as a genuine kayaker on your descent .